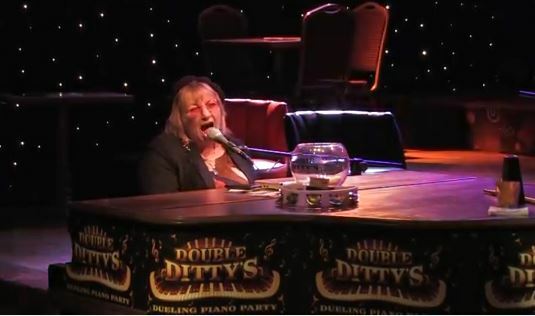 Twin Cities Piano Entertainer, Daina De Prez. De Prez has achieved a national and international reputation for her talents of piano player, cabaret performer, band leader, playwright, musical director, musical arranger, artist, writer, and recording artist. Her work as a singer/songwriter, has won her numerous awards. On this website, you will find the latest news, music, photos from various stages of her career, and a calendar of her upcoming events. There is also a section dedicated to her work with Ten Pin Alli and Party Time Dueling Pianos. Get to Know More About Daina De Prez here!